John Quincy Adams may not have had Dr. Larry Chamberlain in mind when he penned these words, but Chamberlain’s 36-year ministry with the Grace Brethren Investment Foundation and Grace Brethren North American Missions (GBIF/GBNAM) did just that. When Chamberlain steps down this spring as president and chief executive officer of the GBIF, the church extension fund for the Fellowship of Grace Brethren Churches (FGBC), a position he has held since 1989, he will have not only inspired others to dream, he will leave an indelible mark on the Fellowship. 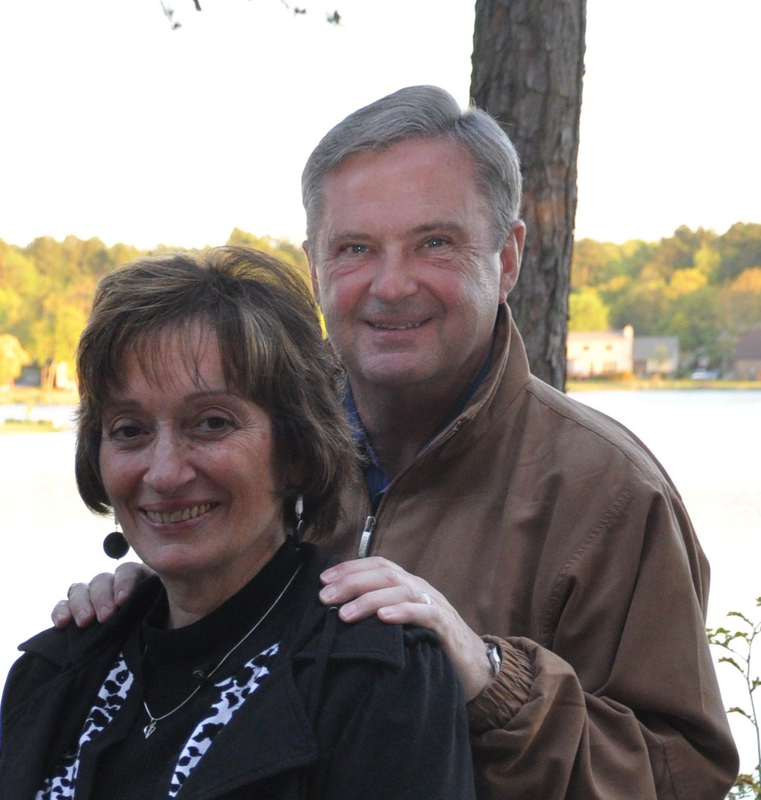 Chamberlain and his wife, Sherlene, arrived in Winona Lake, Ind., in 1977 with their two children, Traci and Travis, so he could fill the accountant’s position at what was then the Grace Brethren Home Missions Council, the church-planting arm of the FGBC. Behind, he left his management career at a regional bank and their ministry involvements at the Grace Brethren Church in Myerstown, Pa. The decision to leave their native Pennsylvania was rooted in a meeting in the early 60’s on the campus of Bob Jones University with Dr. Lester Pifer, then executive secretary of the Home Missions Council (the predecessor organization to GBNAM) while Larry and Sherlene were students at BJU. When a position opened up at GBIF and Home Missions in 1977, Pifer gave Larry a call. Chamberlain … will have not only inspired others to dream, he will leave an indelible mark on the Fellowship of Grace Brethren Churches (FGBC). Chamberlain says that the thought of being involved in church planting really “struck a chord with us.” He was drawn to the “opportunity to serve the Lord in a dynamic environment with committed colleagues” and to see various churches continue to thrive because of the funding and support they received. It is a hallmark of his ministry. He was treasurer of the FGBC when it became apparent there were no funds for the military chaplains to attend Conference. “There was little to no budget for our endorsing agent and very few of [the chaplain’s] stories were getting written up,” he recalls. Working with the late Jerry Young, a pastor and member of Fellowship Council who was also a reserve Army chaplain, and the late Bob Thompson, then-executive director of Grace Brethren Home Missions, Chamberlain led the development of a ministry to provide support for the chaplains in the U.S. Armed Forces. The Eagle Commission was kicked off at the 1988 National Conference in Palm Desert, Calif., introducing the 10 active duty chaplains at the time. Home Missions had agreed to underwrite – through fundraising and its own subsidies – the expenses of the endorsing agent and the chaplaincy ministry. When GBNAM and GBIF split operations in 2004, the Eagle Commission continued under the sponsorship of the Investment Foundation. Today there are 15 active duty military chaplains, with another five in Veteran’s Affairs and Civil Air Patrol roles. Each is recognized, along with local police and fire department chaplains, at Conference, an event that has become a highlight of the week. As the chief executive of Grace Brethren Investment Foundation … he has led a faithful staff in providing funding for church planting and church development, experiencing significant growth along the way. It was also during Chamberlain’s tenure as FGBC treasurer that it became apparent that the Brethren Ministerial Relief Fund, a defined benefit retirement plan for Grace Brethren pastors, was seriously underfunded. “It was fully dependent,” he recalls, “on new people coming in and funding the payments to retiring pastors.” Trouble was, participation was declining rapidly as pastors and churches were looking elsewhere for retirement saving options. Chamberlain led a year-long committee, appointed by the Fellowship Council, to make recommendations. The result was the defined contribution plan now available to Grace Brethren churches for their pastors and other staff members. It has grown to more than 300 participants and in excess of $9 million in retirement funds invested. The prior plan was dissolved, but there were still a number of pastors nearing retirement and counting on income from the defunct program. “We considered the participants in the old plan and thought, ‘it’s not fair for a person who has been a part of this to just simply walk away with nothing,’” he remembers. Larry and Sherlene Chamberlain and their family. As the chief executive of Grace Brethren Investment Foundation since 1989, he has led a faithful staff in providing funding for church planting and church development, experiencing significant growth along the way. The 1990 Grace Brethren Annual, the first that lists Chamberlain as GBNAM/GBIF executive director, details total assets in the Investment Foundation as $19,971,854. At the end of 2012, GBIF assets were reported at $97,140,738. Further, since 1989, more than $10,700,000 has been contributed to church-planting initiatives and Fellowship ministries and for the past several years, GBIF has contributed $7,500 to each new church accepted into the Fellowship at National Conference. For all the successes, Chamberlain counts the most devastating day as the one when, as CEO of GBNAM, he received a letter from claimants alleging abuse by a former employee decades before. The next week, at an already-scheduled meeting, he laid out a plan to the GBNAM board. “I said, ‘there’s a reason God has brought this to our attention to deal with at this time,’” he recalls. “’We will respond in good faith. If there’s a wrong to be made right, it’s up to us to make it right,’” he remembers. The situation remains the most traumatic of his career. He says he is thankful for a supportive board and helpful staff, as well as understanding Fellowship leaders who were kept abreast of developments throughout the nine-month negotiations. Miller, who will join MetroGrace, Philadelphia, as director of strategic partnerships this summer, says that while Chamberlain was not a pastor, he was completely “aware, in touch, and loving toward pastors, and especially church planters,” one reason why he was so passionate about church planting. Chamberlain’s journey in the Fellowship of Grace Brethren Churches began in Johnstown, Pa., where he was saved under the ministry of W.A. Ogden. “Shortly thereafter, our family became involved in the new church at Riverside, on the outskirts of Johnstown, planted by Ralph Hall (who later would be instrumental in developing the Brethren Architectural Service).” In high school, under the ministry of Pastor Don Rough, he made a commitment to full-time Christian service. At Bob Jones University, he met Sherlene during their freshman year. They will celebrate their 45th wedding anniversary this year. 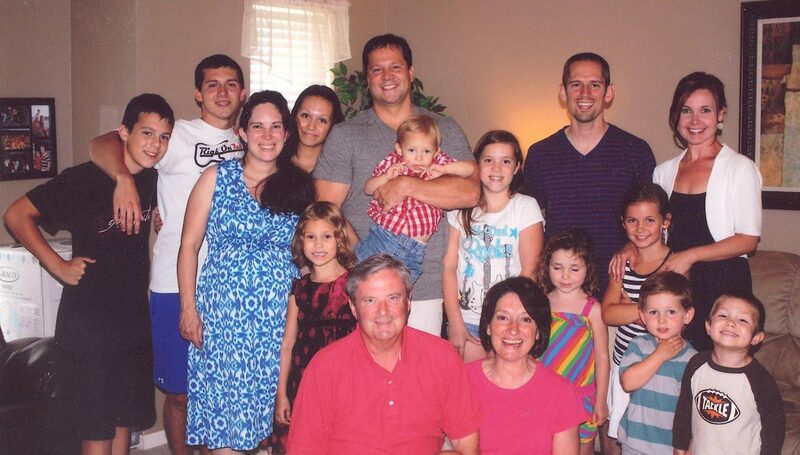 In Indiana, the Chamberlains joined the Winona Lake Grace Brethren Church, where he served as moderator, treasurer, and elder. Active in the community, he was secretary on the board of Warsaw Community Schools, president of the Warsaw Community Public Library board, funding director for the Committee to Commemorate Dr. Martin Luther King, Jr. Inc., flotilla commander of the Coast Guard Auxiliary, chair of the Chamber of Commerce annual Education Summit, and served an appointed term on the Indiana School Boards Legislation Committee. He has presented at numerous professional conferences on the subjects of servant leadership and not-for-profit board governance. 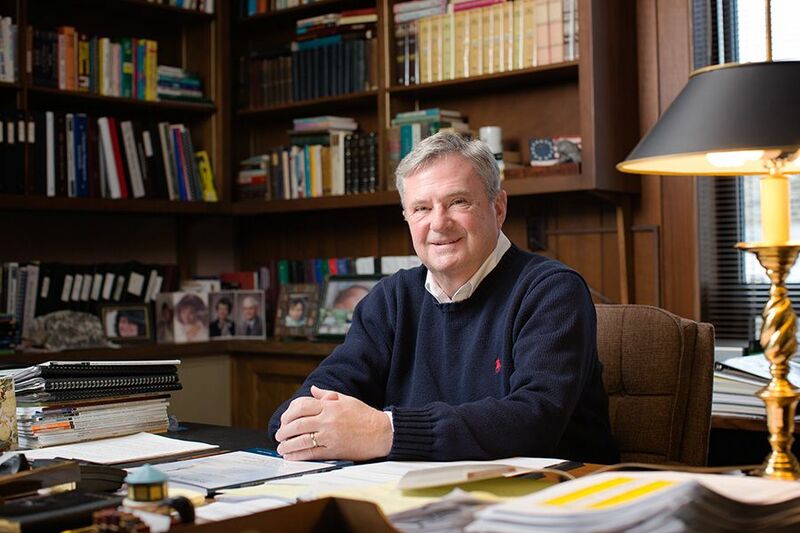 During his tenure at GBIF, he completed a master’s of business education degree through Indiana University and earned a doctor of Strategic Leadership through Regent University. Their children, Traci and Travis, now married with families of their own, live on the north side of Indianapolis. Several years ago, the Chamberlains sold their home in Warsaw and bought ten acres in LaFontaine, Ind., to be closer to them. As for retirement, it will not be without continued ministry. He will serve as an associate professor in the Graduate School of Business and Leadership at Indiana Wesleyan University, a Christian university in north-central Indiana. (Editor’s Note: Sarah Kraus, a GraceConnect intern in the fall of 2012, contributed to this story. This story first appeared in the Spring 2013 issue of GraceConnect magazine.